Pink and white flowers arranged in a rectangular clear glass vase. 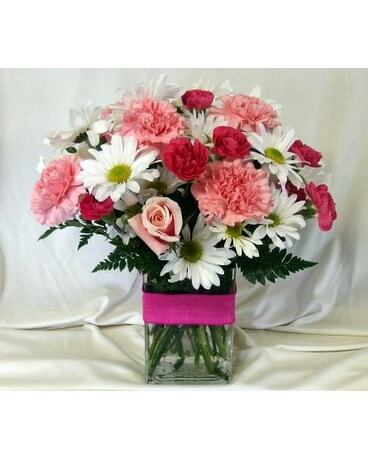 Pink roses, pink carnations, hot pink mini carnations and white daisies. A band of hot pink ribbon is placed around the vase.